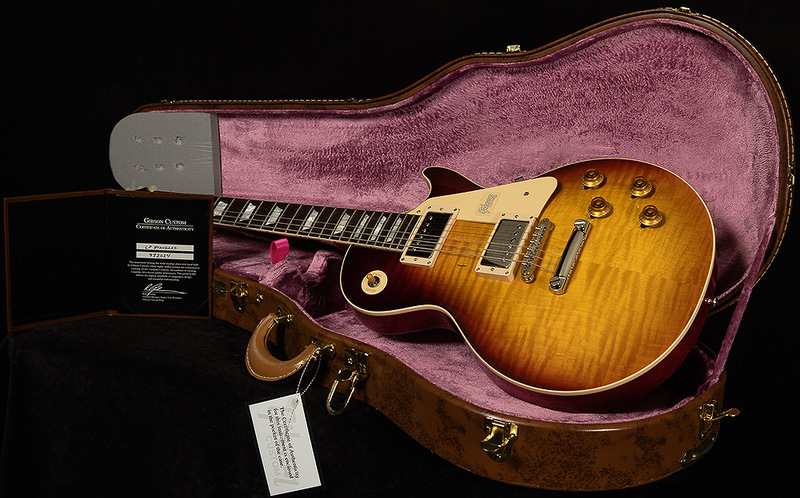 The Gibson Custom Shop Historic Series has evolved so much since it’s inception. Over time, the Custom Shop team has gotten closer and closer to recreating the magic of the coveted vintage treasures of the late 50’s and early 60’s. 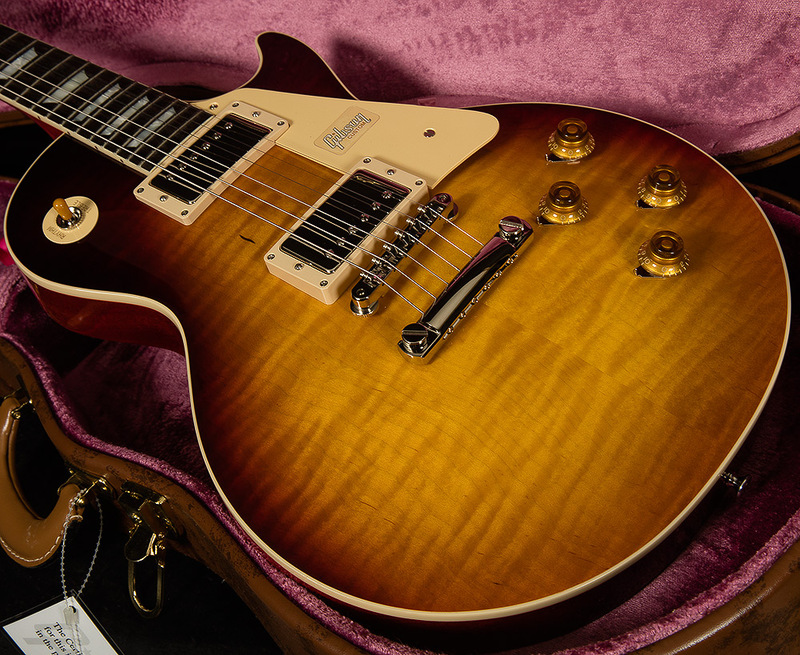 Pulling inspiration from the various eras of production in their storied history, Gibson has managed to identify all the characteristics of a great Les Paul and put all them into one irresistible-looking package. From hide-glue construction to premium tone woods, these instruments are closer than ever to instruments that defined a generation and inspired millions. 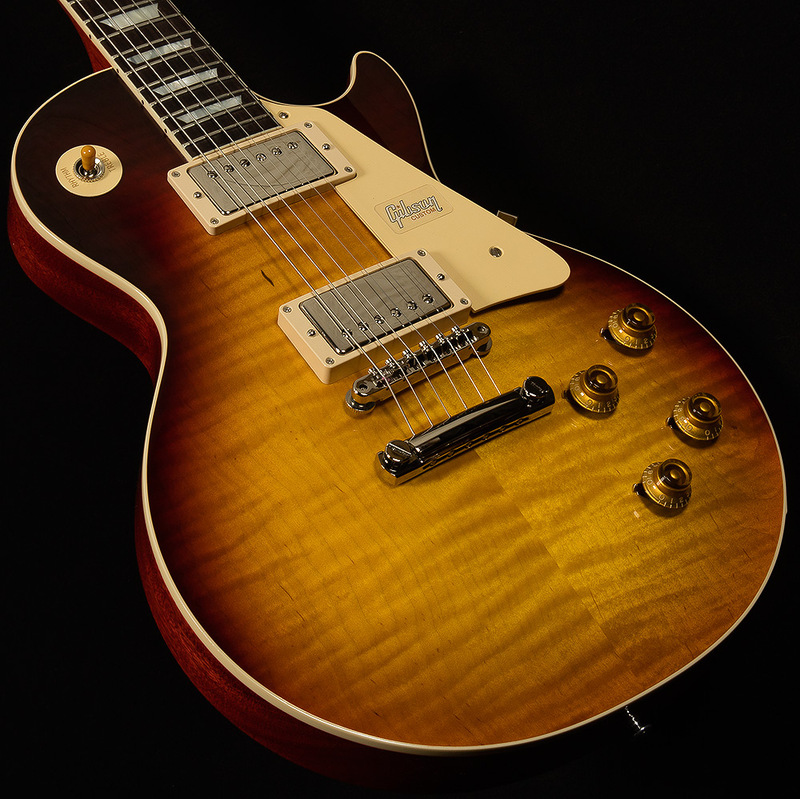 Building off of the presentation of the 2017 Les Paul Standard models, the all-new 2018 Historic Collection takes things to the next level, with new neck profiles (including an all-new ’59 profile scanned from an original vintage treasure) to period correct fretwire and all new “Fade” finishes. Make no mistake, you don’t just see the difference–you FEEL it, too. Obsessively perfect, ultra-accurate aesthetic appointments compliment stellar finish options like aniline-dyed 1-piece mahogany backs, historically-accurate deluxe Kluson tuners, and gorgeous maple tops to create instruments that look and feel like vintage instruments. A pair of so-close-to-vintage-it’s-scary Custom Buckers complete the package by unleashing the glorious, ultra-rich harmonic content of these phenomenal instruments. 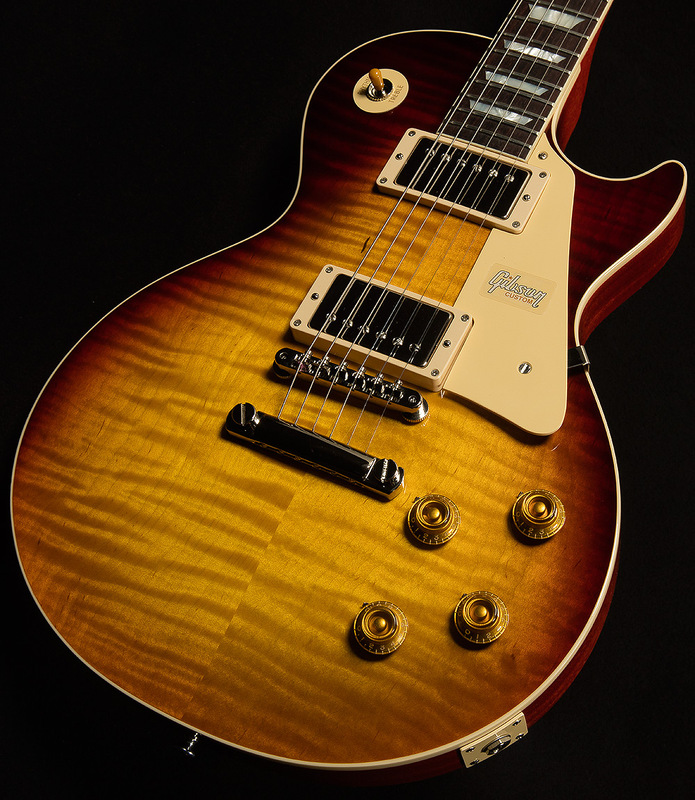 Wildwood Guitars is proud to present: The Gibson Custom Shop 2018 Historic Collection.